dandy bohemian: Off With Your Head, Dance 'till Your Dead, Cause This is Thriller!!! Off With Your Head, Dance 'till Your Dead, Cause This is Thriller!!! Yes, you guessed it right! The title is from the lyrics of Heads Will Roll (Yeah Yeah Yeahs) and MJ's Thriller. 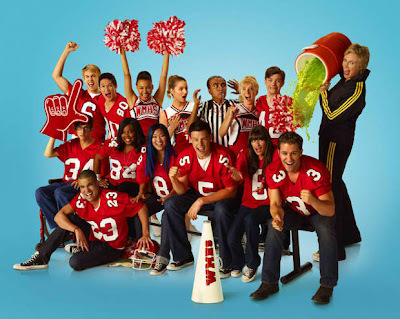 Both of which will be featured on Glee's upcoming SuperBowl episode. If you're still unsure of what's gonna happen on their next episode, you might want to read this. Although I am pretty sure a lot has been written about that episode on other sites. Anyway, I just wanted to share some pics I got from Just Jared. It features some of the glee kids in Zombie Make-Up! Looking like a happy zombie, Naya Rivera walks on with her Louis Vuitton Speedy bag. 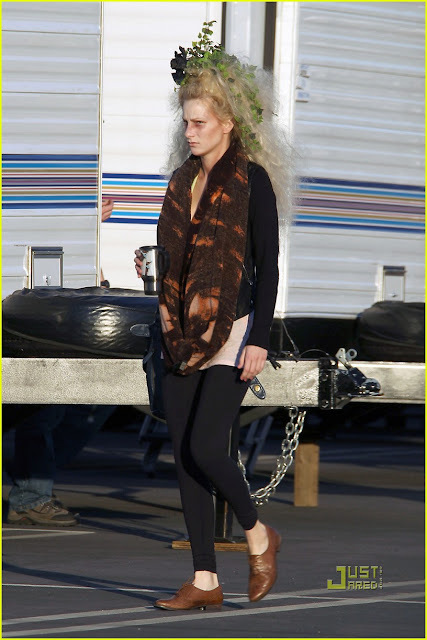 Her complete look consists of black zip-up jacket, grey tank top, black opaque tights and boots. But, gurl! You forgot your pants/skirts/shorts!!! 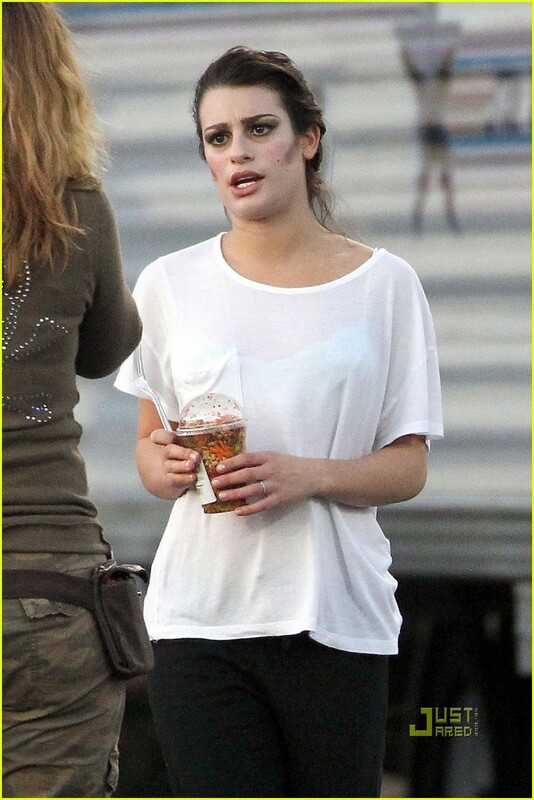 Lea looks like a pretty little Zombie! Her outfit is a study on proportions and comfort. A white shirt paired with loose black pants and leather ballet shoes. 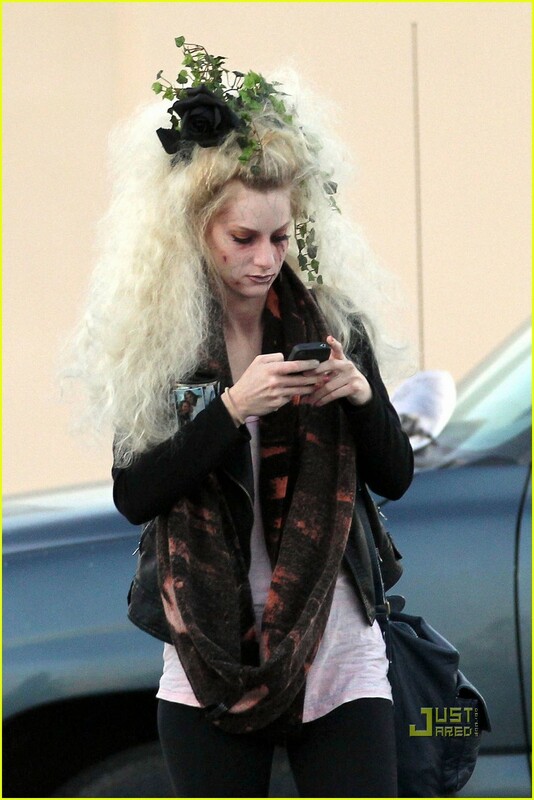 I read somewhere that Dianna likes Wigs and Costumes. Loving her smile and her gray hoodie and black leather bag. 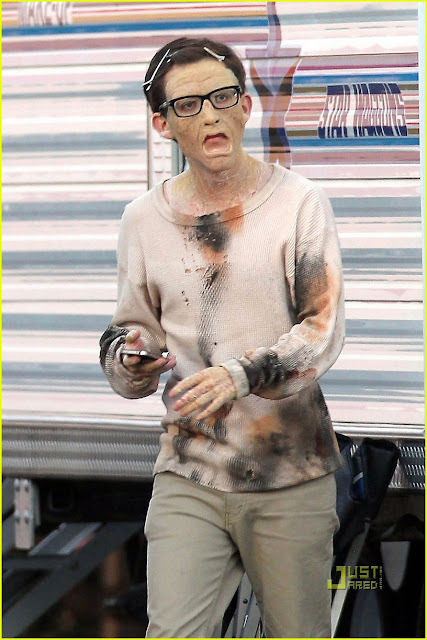 Too much texting can make you a zombie. Although I wished she smiled a little. I love her accessories here. The scarf looks amazing, not to mention headpiece! Someone needs to take his happy pill. ﻿February's just around the corner guys.